We will explore Edinburgh, the magnificent capital of Scotland, steeped in history and art. 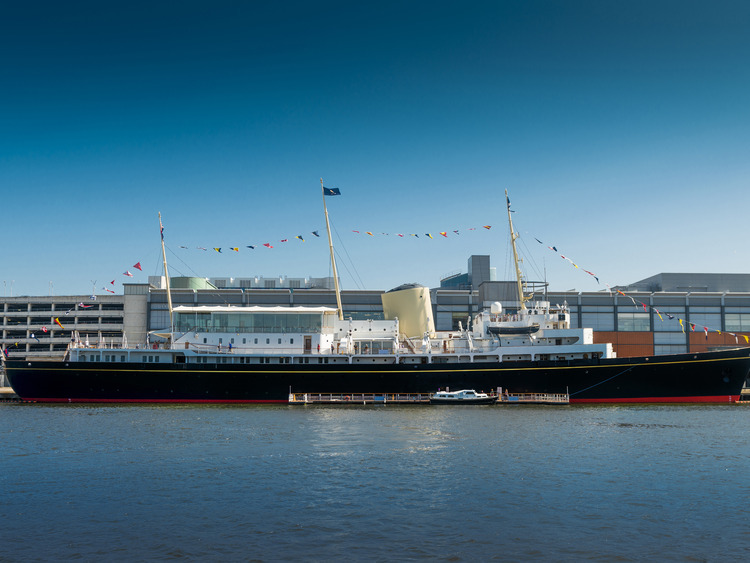 We will visit the city's world-famous medieval castle and even one of Her Majesty the Queen's most elegant residences, the Royal Yacht Britannia! We will travel from Rosyth to stunning Edinburgh, passing through the quaint fishing village of South Queensferry. When we reach the Scottish capital, we will start our sightseeing tour of the centre, most of which has been declared a UNESCO World Heritage Site. We will cross the Old Town with its medieval origins and maze of cobbled streets, winding lanes and long roads, which will offer us the chance to admire historic monuments and charming views. Next, we will travel to the New Town, as it was named at the time of its construction in the 18th century. That period really made its mark here with Georgian architecture inspired by the exponents of Neoclassicism. Our next stop is Edinburgh Castle, which also dates back to the Middle Ages. In a dominant position overlooking the city, it was the residence of Scottish kings and queens for many centuries and today houses the Scottish National War Memorial, one of the most evocative memorials in the world. After visiting the castle, we will have some free time. Our itinerary will then take us to Leith, Edinburgh's port where the Queen's "floating palace", the Royal Yacht Britannia, is docked. An important base for official events and political gatherings, the royal yacht is one of the most famous boats in the world. We will discover the fascinating history of Britannia through the display of photographs and relics. We can admire the royal apartments where hundreds of original objects have been preserved in the Sun Lounge, the Queen's favourite room with large windows, the reception room and the bedrooms. Then we will visit the bridge command centre, the officers' wardroom, the infirmary and the machinery room.